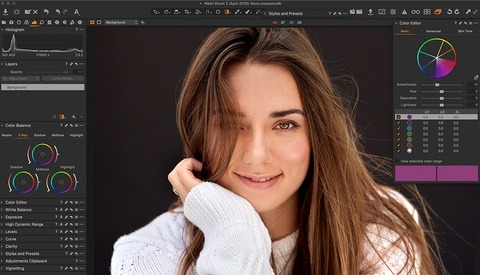 Capture One is multi-faceted image processing and asset management software. As a raw processor, it is considered the gold standard, supporting over 500+ cameras, and with it comes a uniquely powerful toolset for developing, color grading, and tethering. But that is just the tip of the technological iceberg that is Capture One. With a focus on user experience, its mountain of capability and complexity is hidden under a veneer of simplicity so as to make working with your images fast, focused, and easy. Kishore Sawh is a photographer, writer, and currently sits as Director, Strategy for PixelShift LLC. His photographic areas of focus are fashion portraiture, swimwear, and military aviation. For PixelShift he and team do brand development, analysis and strategy for clients such as Sony Di, and Capture One. Based in Miami he can often be found at animal shelters, and airports in London and Toronto.